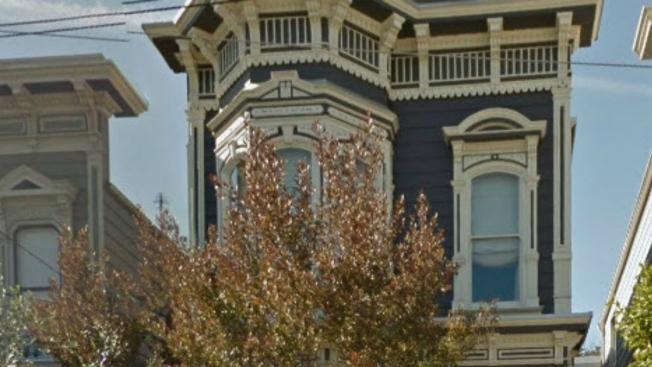 The Tanner House in San Francisco – “lived in” by the fictional 1980s “Full House” family - is up for sale, listed at $4.15 million. Vanguard Properties is touting the three-bedroom home at 1709 Broderick Street as a “unique opportunity to own a rare piece of San Francisco history.” The Victorian was originally constructed in 1883 by Charles Lewis Hinkel. Photos of the renovated home look nothing like the family-friendly pad where Danny Tanner, Uncle Jesse and the rest of the girls hung out during the wildly popular television show that has a sequel “Fuller House” now on Netflix. Gone are the red door and comfy couches. Now, the interior is uber upscale. The ad mentions nothing of the goofy sitcom. The real house on Broderick starred in the series' opening credits, but was mostly filmed at the Warner Bros. studio in Burbank. Fun facts from “Hooked on Houses:” On the show, the address was listed as 1882 Girard Street, which doesn’t even exist. Also, the Tanner House is not even one of the seven “Painted Ladies” that make up the colorful row of Victorian houses shown behind them when the Tanner family picnics at Alamo Square Park.